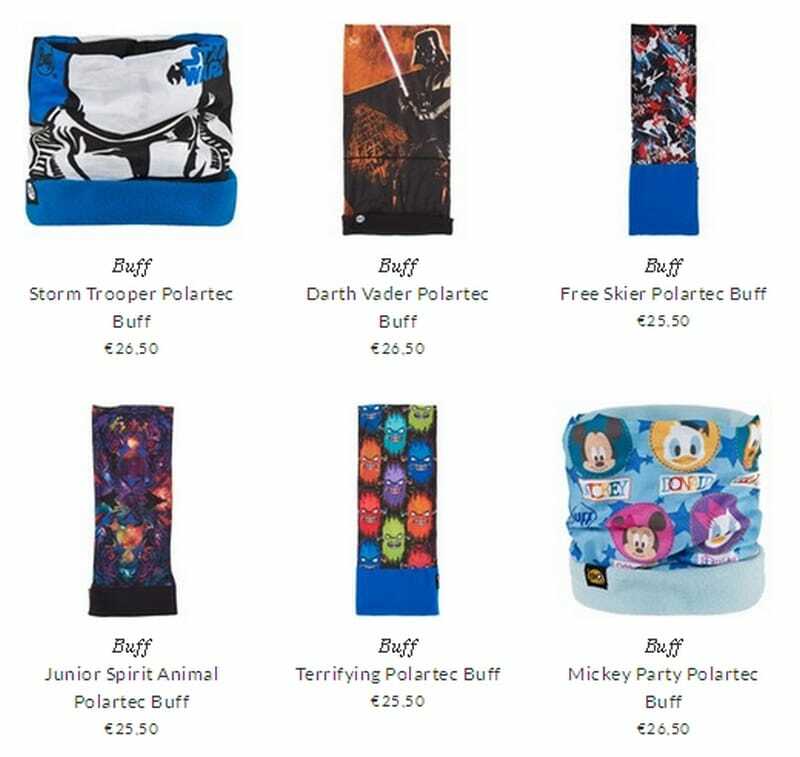 Buff is a unique fashionable brand of amazing clothes for children to be used around the head in different conditions. It was created by Juan Rojas – a well known Spanish road motorcyclist, who thought about the idea of making a multifunctional piece to cover the head, face and neck. The main feature of the brand is providing both girls and boys of different ages with stylish hear bands, cool hats, fancy bandanas, nice scarves, lovely wristbands and other items. Juan is sure that with such a remarkable accessory the appearance of your kid will stay in memory for long time. It can suit to a casual style, but also create a sportive and biker look for both boys and girls. Buff tries to follow the last tendencies in the world of fashion, and use fancy patterns and prints on bands and scarves. Girls can enjoy pink colored hair bands with floral prints. Boys are offered cool bandanas with Batman, Spiderman and Darth Vader images. The qualified manufacturers use only high quality fabrics in tailoring their products that will provide kids with comfort for sure. Today Buff has become very popular in many countries all around the world, especially in USA, EU, Asian countries, in Latin America and even in Australia. It is also possible to purchased the hair accessories for kids by Buff brand name online.